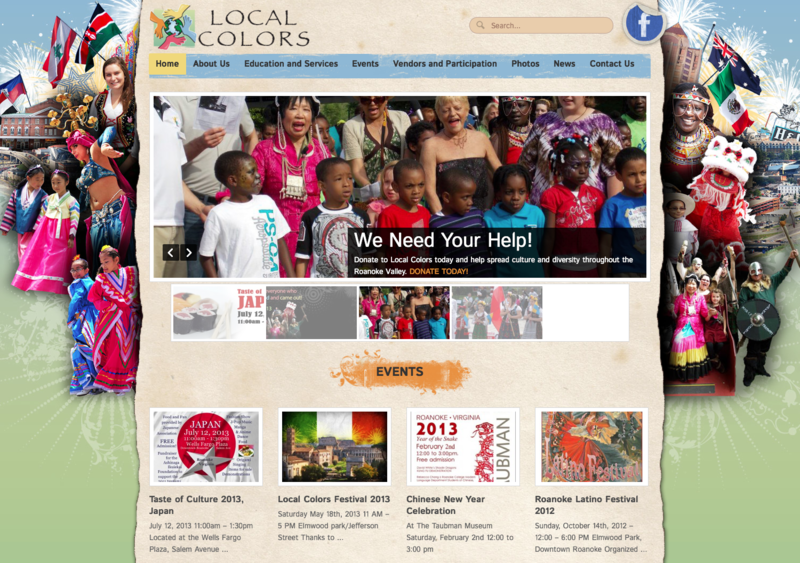 Local Colors is a non-profit organization based in Roanoke, Virginia. They highlight the ethnic and cultural diversity of the Roanoke Valley and hold a huge festival starting showcasing food, music and culture in the spring as well as other minor gatherings and festivals throughout the warm months. They came to us in need of a site with 3 purposes; to clearly show off their events, easy vendor and participant signup and to get sponsors and local people interested in supporting their cause. All while maintaining the fun, exciting and colorful feel that is signiture to all of their events.